The UK’s largest neuroscience research company is set to create 12 new jobs when it opens a new research site in Barnsley this month. 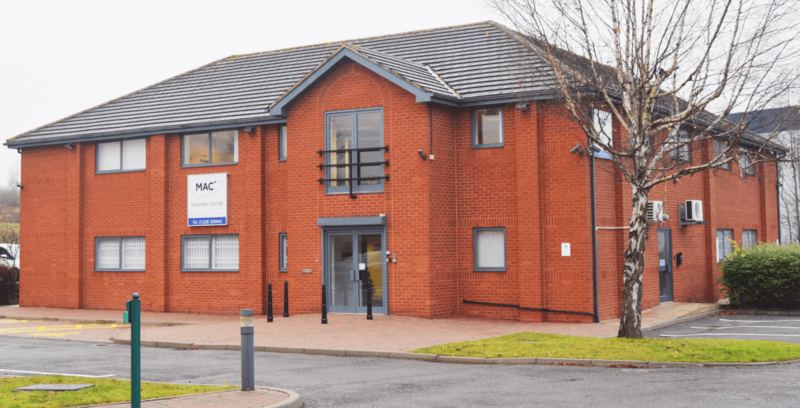 MAC Clinical Research, which has sites in Manchester, Leeds, Blackpool, Cannock and Liverpool, is set to move to 4,800 sq ft office space at Wentworth Office Park in Tankersley. The company specialises in clinical trials in therapeutic areas including Alzheimer’s disease, diabetes, osteoarthritis, eczema, psoriasis, central nervous system conditions and depression. As well as conducting the trials, MAC Clinical Research recruit volunteers to take part in them. MAC Clinical Research currently employs 150 people across its six research sites. £500,000 has been invested into the former office space, providing suitable working environments for clinical trials to take place. The research company has been supported by Enterprising Barnsley, the business development arm of Barnsley Council. One of the first trials at the new Barnsley clinic is into osteoarthritis and will see the company work with doctors in the local community to identify suitable volunteers. MAC Clinical Research started life in 1988 as a memory assessment centre before moving into clinical research trials in 2003. In 2007, the company opened its first purpose-built dedicated research centre in Blackpool, followed a year later by one in Manchester. In 2011, the company opened a research facility in the midlands, meaning that 20 million people lived within one hour of a MAC clinic. MAC Clinical Research has a range of clinical research capabilities to accommodate early phase trials through to market approval. Martin Beasley, Enterprising Barnsley Group Leader, said: “We’re delighted to welcome the company to Barnsley. Enterprising Barnsley, the business development arm of Barnsley Council, provides specialist support to businesses with growth potential. Attached photograph shows the new MAC PLC site in Barnsley. For more information about MAC PLC go to http://www.macplc.com/ or contact Nathan Berry on 07821 068599. For further information about Enterprising Barnsley, please contact Martin Beasley on 01226 787535 or visit www.enterprisingbarnsley.co.uk. Enterprising Barnsley, part of Barnsley Council, assists companies with relocation; business development; access to finance; business start-up and much more. Its award-winning team provides a practical link between business owners and a wide range of resources and support available to them in Barnsley. It can help businesses access specialist coaching. It also funds and delivers a range of business events and workshops. EB’s aim is to help Barnsley businesses develop and expand; generating economic growth and creating jobs.